Extraordinary one-level, spacious home over 2,400 square feet of living area. Sellers recently finished a beautiful renovation on this 4 bedroom, 3 bathroom on an oversized 7,852 sq. lot! This home has it all â a great neighborhood, high cathedral ceilings, open floor plan, a remodeled kitchen with the latest in stainless steel appliances, a spacious backyard and detached guest house for entertaining in style. The large family room with a contemporary stone fireplace flows into the modern kitchen with quartz countertops and contemporary tile. The designer elements include a master bedroom with a stunning master bathroom, oversized shower and a walk-in closet, as well as a second master bedroom with an ensuite bath.Throughout the home, there is new flooring accented with elegant moldings and recessed lighting to create the just-right mood after a day of work or play. The exterior of the home has low maintenance landscaping. 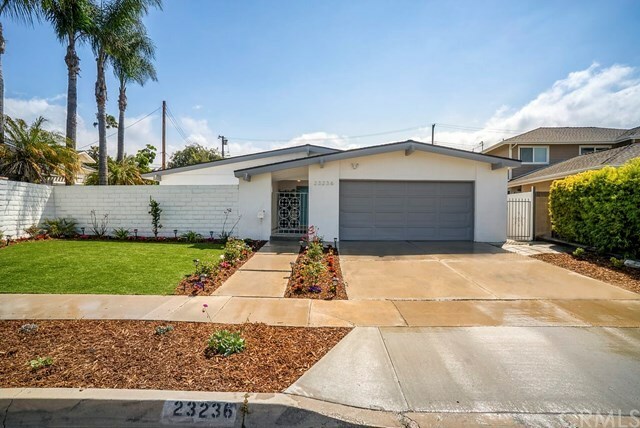 It is located close to parks, restaurants, shops, and of course the award-winning Torrance School district. Everything above making this home a true coastal gem.